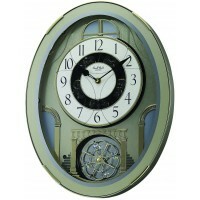 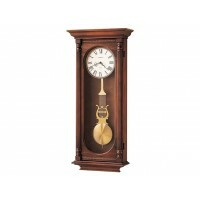 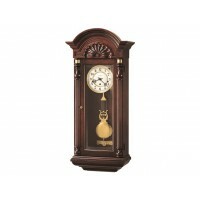 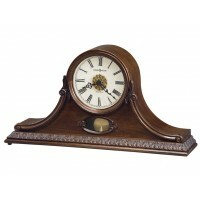 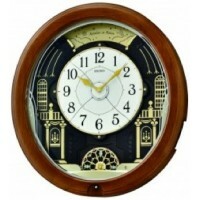 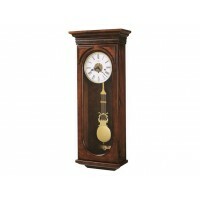 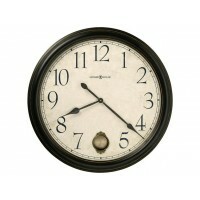 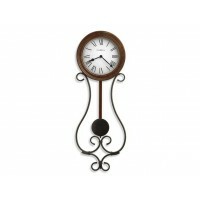 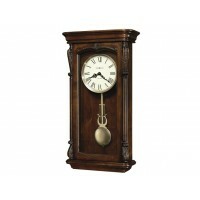 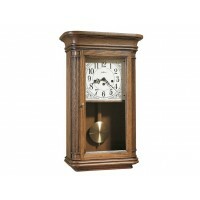 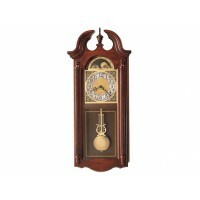 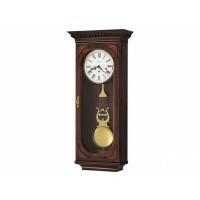 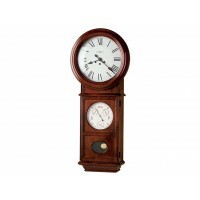 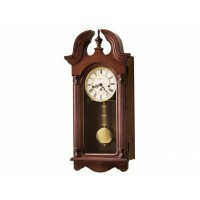 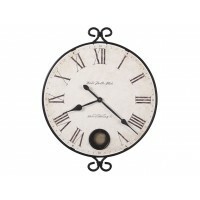 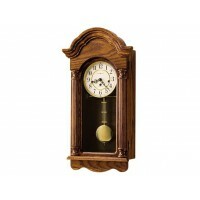 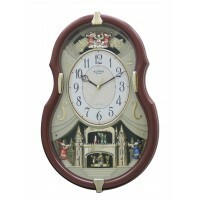 This unique 26-1/4" gallery wall clock features a Moment in Time antique dial framed in wrought iron, with a pendulum peep hole. 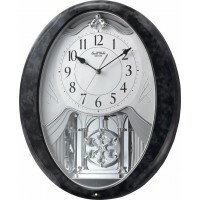 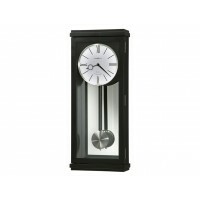 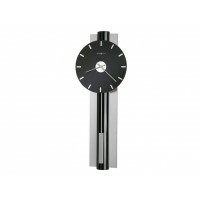 The pendulum opening is surrounded by a warm charcoal bezel and covered with glass. 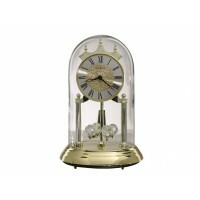 The pendulum is finished in antique brass. 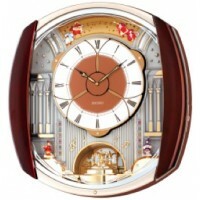 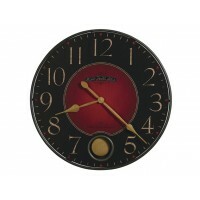 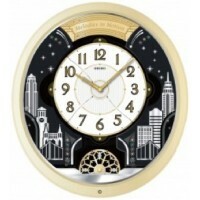 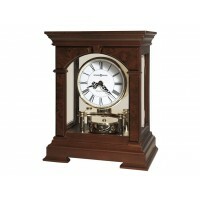 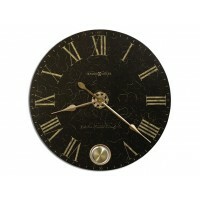 The fashionable colors on the dial and gold-tone spade hands add to the nostalgic tone of the clock.